Guests will be seated in Catawba’s private Rickhouse Bar, where they will enjoy a collaborative 5-course food and beer pairing. Chef Richard Neal (The Admiral) and Chef Matt Dawes (The Bull & Beggar) have curated a special menu that focuses on forest and field, celebrating the heritage of Asheville’s wild foraged food. 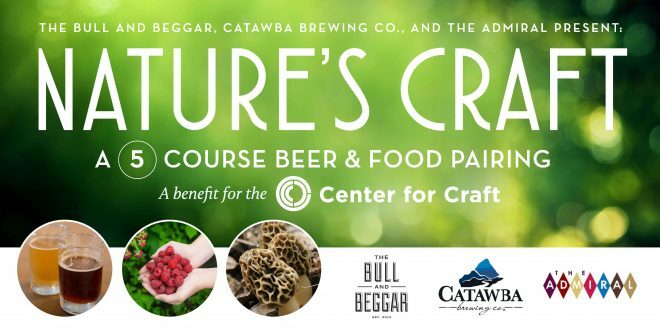 Each course is expertly paired with a Catawba Small Batch Beer.